She’s been trained for battle, but is she ready for war? On psyche leave and pending an investigation, army captain Fallon Parker has returned from her latest overseas tour with more than just a case file to her name. Suffering PTSD about what happened to her overseas, and with only vague, disturbing memories of the event itself, she finds her life spiralling out of control while she waits for the verdict of whether she will return to active service. But that’s not her only problem – in the middle of her leave, her sworn protector and a right pain in the arse, Hadwin, wrenches her away from this world to her birth world. A world that Fallon soon finds is filled with magic, monsters, and sword fighting with a tyrannical human queen hell bent on wiping out Fallon’s kind. With enemies on all sides – everything Fallon thought she was, is questioned as her old life falls away and her new life slams into her with brutal conviction. She was destined to be a queen, but is she willing to accept that role? Will she survive the rebellion that she was brought back to lead? She’s been trained for battle. But is she ready for war? Army Captain Fallon Parker’s career is in ruins following a combat mission that ended in carnage, saw three of her men dead and of which she has no recollection. When she is abducted and taken to a place unlike any on this earth, Fallon finds herself under the ‘protection’ of Hadwin. He tells her she is the heir and rightful Queen of the Northern Kingdom. Fallon’s people need her to lead them in a rebellion to wrest their kingdom from the control of the tyrannical human Queen, who is hell bent on wiping out Fallon’s kind. Forced to accompany Hadwin on a treacherous journey to rejoin his men, Fallon discovers a strange world filled with magic, monsters and battle-hardened rebels. But as in her own world, she discovers that leadership comes at a price. Allies and enemies are interchangeable. And the reason she could never recall the events of that dark night when her men were killed is because Fallon is not human…and has powers beyond her imagination. She was destined to be a queen, but is she willing to accept that role? Will she survive the rebellion that she was brought back to lead? Just click the button on the right, or visit any good book store. Filled with exciting twists and turns, readers won’t be able to put The Fray down. 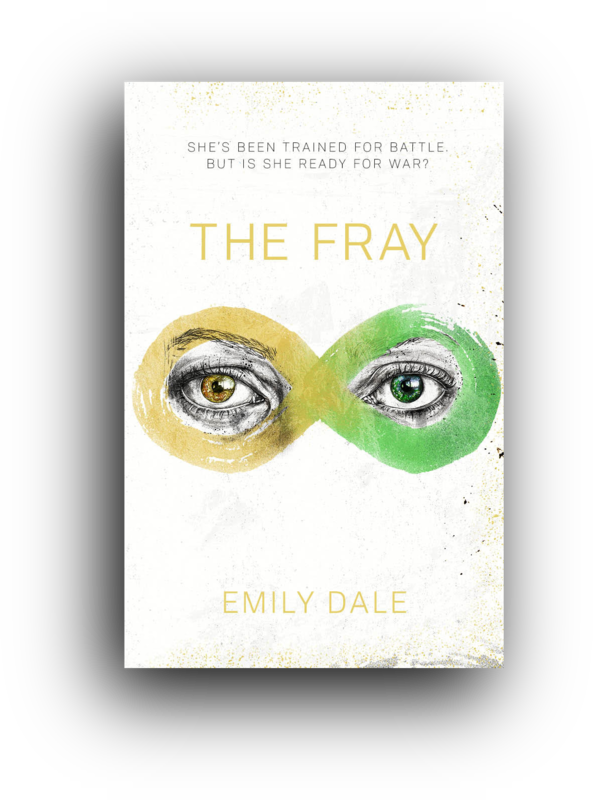 The book is the first of a series from debut South Coast author Emily Dale. Emily Dale grew up on the South Coast, NSW and enjoyed a wonderful childhood with her parents, three brothers and numerous family pets. She discovered her love for reading from an early age when her parents used to read to her every night. Reading her favourite books aloud helped Emily to overcome a childhood speech impediment and gave her the confidence to start creating her own stories. When she was a teenager, she left for boarding school in Sydney and then pursued careers in the city until she met her husband in the local Berry pub one Wednesday night and eventually followed her heart back to the South Coast, NSW – where she still resides. Wanting to follow her dream of becoming an author, Emily soon found a writing course through the University of Wollongong and graduated with distinction from a Bachelor’s degree in Creative Writing three years later. She spends her time working a day job, writing, and working on her house (but she is no longer allowed in the garden in case she kills any more plants) and enjoying the many delights her beautiful area has to offer. Emily writes romantic, fantasy fiction, short stories, as well as adult fiction. Emily enjoys hanging at home with her family and can often be found outside on the lawn with her son watching the cows amble past her fence or the pink galahs, magpies and kookaburras getting into mischief and teasing her husband as he mows.